I love tea. With weeks like last week where everything that could go wrong went wrong and my normal coping strategies were forgotten in the spur of losing my mind (just a little bit), the only thing that got me through each day (other than Edd, Ben Howard and copious amounts of wine) was my love of tea. Some people don’t get tea. Edd doesn’t get tea, especially herbal teas. To him they are just watery drinks with no real substance or meaning. I don’t get these people. Tea is great, stop sharing your tea complaints and just sit down and drink some more. My recent taste in tea is kind of reflective of my lifestyle/state of mind as of late. I assume this must happen for others too. 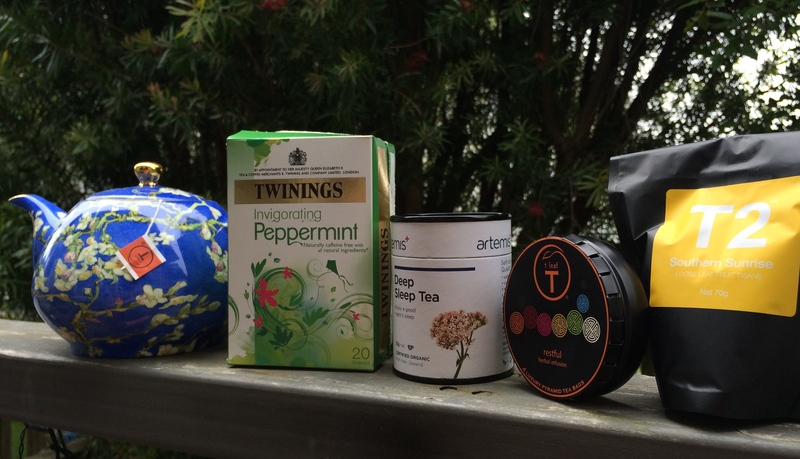 With life being more stressful then I ever agreed upon, here they are, 4 of my favourite teas that have been helping me get through and face each day with a smile, even if it is the kind of pained smile that makes your face ache a little. If I could only have one type of tea for the rest of my life, it would take me less than a second to choose peppermint. I love this stuff. This Twinings brand is my current “at home” peppermint tea (I have a Dilmah one at work which I have raved about before). This is just a straight up, no frills but also non-challenging peppermint tea that is the perfect accompaniment to a lazy afternoon, or a rushed 10 minute break between tasks. I love the versatility of peppermint tea. Any time of day, any state of mind (although I seem to be testing it on a primarily stressed one). artemis are a new brand for me, local and certified organic with a mission statement that I can get behind, I love their range of teas that are specifically targeted for different mental and physical uses. This one is specifically to aid with Deep Sleep, something I have not been experiencing a lot of. This tea is a soothing loose leaf mixture of lemon balm, licorice, passionflower, hops and valerian root. You can see what each ingredient is specifically included for (I love that this information is so accessible!) but for me the key is whether it tastes okay and whether I feel any benefit. The taste was different to what I was expecting, I think due to the licorice and hops which give this a slightly unusual taste but it wasn’t at all unpleasant. Sleep wise, it seemed to help me get to sleep quicker and wake up less so if you want to try a natural alternative to sleeping medication I would definitely give this a go. 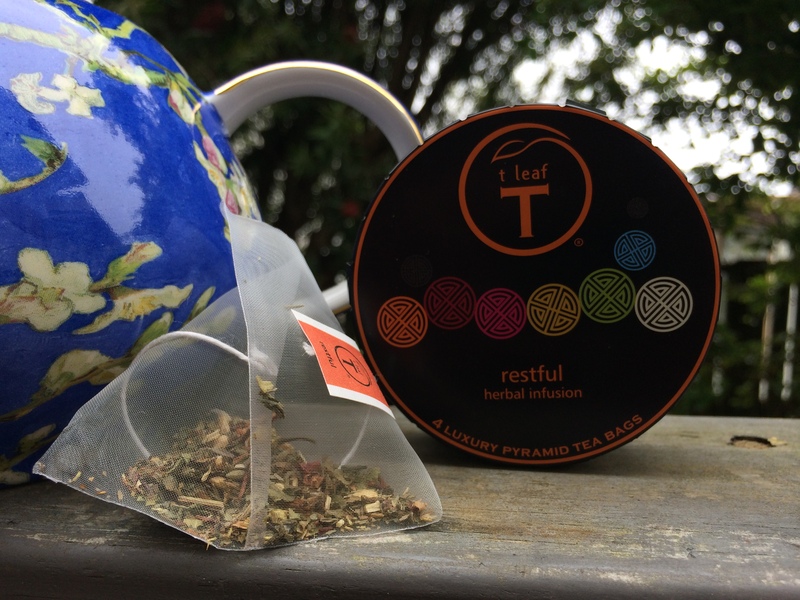 t leaf are a New Zealand tea brand that I may have become a little obsessed with. This is the first tea by them I have tried, and I chose the restful one because generally I reach for tea when I am not feeling so restful. Ignoring how beautiful the t leaf tea bags are (I feel so wasteful throwing them away), this tea is definitely one I would buy more of. It has a combination of relaxing ingredients such as chamomile, lavender, ginger and cinnamon along with a peach flavouring and it tastes delicious. Their tea is also pretty reasonably priced and so easy to shop from afar …. I may have an order currently on its way to me now. 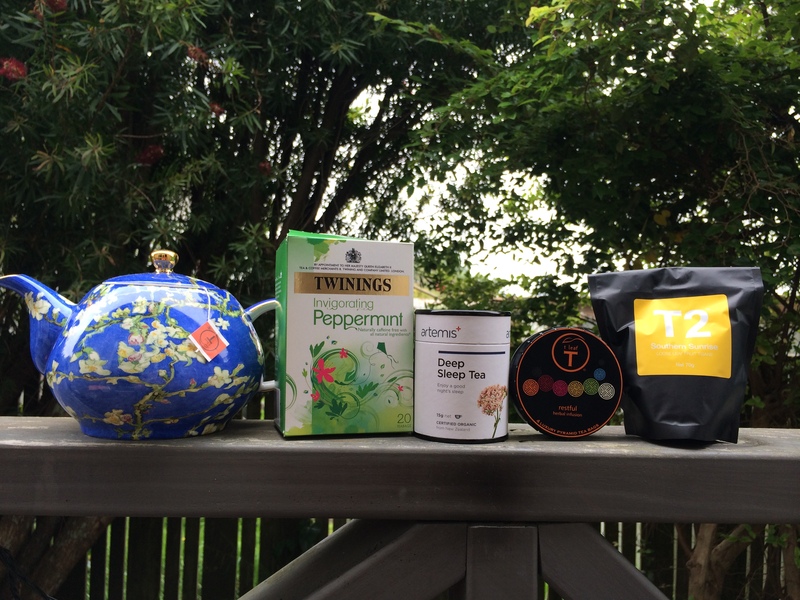 I couldn’t do a tea post without including one of my favourite tea brands, T2 (also the most expensive, but I like to pretend the price tag is a figment of my imagination and just buy all the tea anyway, much to Edd’s dismay). This tea is kind of the odd one in the bunch, its summery and punchy and flavoursome. I have been using this as the weather gets warmer to create some delicious iced tea concoctions. 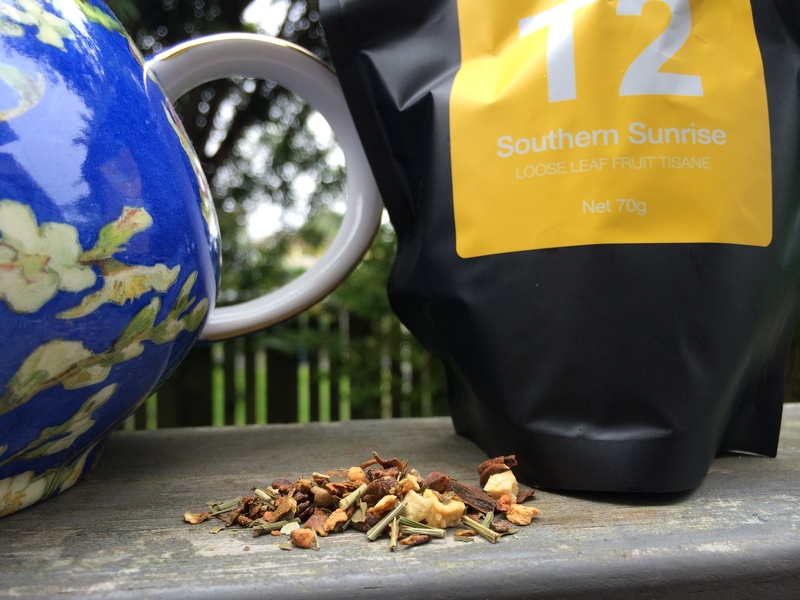 Southern Sunrise is a looseleaf tisane and comes with a delicious combination of lemongrass and grapefruit flavours. The strong citrus and fruity notes make a beautiful iced tea, especially when sweetened with some of my all time favourite Turkish Apple Tea. T2 are great at doing samples in store so go try some. What tea has been your go to recently? And what are your tips for dealing with stressful times (asking for a friend)? 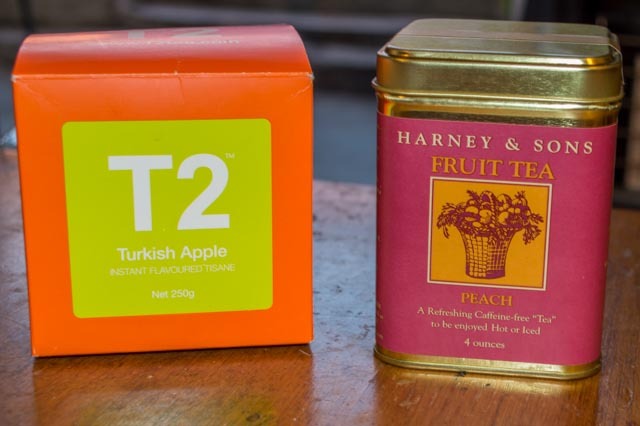 So today is time for another brief tea post on the two more pricey teas that I currently am enjoying. Tea is my lifesaver at the end of a hard day. My rescue remedy when I am freaking out. Tea is to me like waffles are to Lesley Knope. Hence, every once in a while I don’t mind spending what most people probably consider a ridiculous amount of money on a box of tea. Normally I stick to the $4 approx supermarket tea options however these two were more at the $20 range (which even to me seems a little silly. I would still buy them though). So if I had to choose one tea to drink forever this would be right up there fighting for first place. This is an instant flavoured tisane and is basically just a delicious flavoured sugar. So not the healthiest. I compare it to raro for adults and it is similar in that I could eat this stuff by the spoonful, no hot water needed. However at $22 a box this is a very rare occaision. This is my treat tea but also is an excellent way to sweeten up other herbal teas. When I bought this from the Queen Street T2 store (which has some rather lovely staff!) I was given a couple of samples that I could try mixed with a little Turkish apple. My favourite was the Southern Sunrise (a lemongrass and grapefruit combo) which paired wonderfully with the sweet apple. Delicious and one I would keep spending too much money on. T2 can be bought in NZ at the brand new beautiful Queen street store or ordered online on their website. This is a new brand of tea for me and one I encountered at the Auckland food show. I believe this box was only $10 but normally their teas are a little more expensive at around $15. They have a huge range and you find these in some more boutique Auckland stores such as Smith and Caughies or online at their website. This is a loose fruit tea that smells incredible. Basically made up on dried fruit such as peach, rosehips, apple and hibiscus the tea goes a long way with strong flavour and a beautiful aroma. Don’t use too much as this can easily get overbearing however done right this tea is gorgeous and makes some of the nicest iced tea I know. So overall I guess this post was to make me feel better about spending more than normal on tea but everyone needs a treat every now and again and tea is a relatively harmless one (unless you are eating the sugar by the spoonfull). What are your splurges?